The health sector is one of the most complex sectors from a human resources and labor regulation perspective. Health facilities require large numbers of highly trained professionals and wages usually are the single largest line item in most health facility budgets. In addition, health workers are the main contributor to quality of care and customer service and a driver of healthcare costs. Most countries are not training enough health workers to meet their needs and the World Health Organization estimates there will be a shortage of 18 million health workers globally by 2030. At the same time many health systems and health facilities lack adequate health workforce and human resource expertise. Corvus Health was formed to address these challenges in a sustainable way throughout the world by providing services throughout the health worker life cycle. Corvus Health’s goal is to reduce the shortage and maldistribution of health workers and to maximize the productivity of existing health workers. A world in which all people have access to fit-for-purpose, high quality, motivated health workers and in which health workers are properly supported and respected. To provide the private sector and governments with high quality, affordable health workforce services in a sustainable way. To enable health workers to develop their skills and achieve the careers they desire so they can make their best possible contributions to health. To create markets for the most efficient allocation of health workers and to enable health workers to be as productive and efficient as possible. To improve access to timely, reliable data on health workers. To improve the number, quality, and efficiency of health professional schools producing fit-for-purpose health workers and eliminate the health worker shortage. 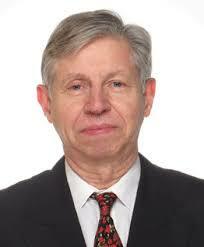 Dr. Tulenko is a globally recognized expert in health workforce and health systems strengthening. She founded Corvus Health in response to the lack of full-service health workforce companies that could address health workforce challenges throughout the health worker life cycle. Previously, Dr. Tulenko served as Vice President, Health Systems Innovation, for IntraHealth International; as Director of CapacityPlus, the US Agency for International Development’s flagship global health workforce project; and as coordinator of the World Bank’s Africa Health Workforce Program. She has received a Rainer Arnhold Fellowship for innovation in global development, was named one of “300 Women Leaders in Global Health” by the Geneva Graduate Institute of Development Studies, has published widely, including in the New York Times and Foreign Policy, and is an occasional global health commentator for the Chinese Global Television Network. She is a Fellow of the American Academy of Pediatrics, holds an adjunct faculty position in the Johns Hopkins School of Public Health, and has served on expert panels for the WHO, the American Hospital Association, the Rockefeller Foundation, the Aspen Institute, and others. 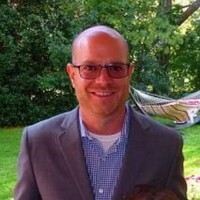 Dr. Tulenko earned a bachelors in biochemistry at Harvard; a master’s in History and Philosophy of Science (medical ethics) from Emmanuel College, Cambridge University; an MD from the Johns Hopkins School of Medicine; and a master’s in Public Health (health systems) from the Johns Hopkins School of Public Health. When not working or sleeping, Dr. Tulenko enjoys hiking, biking, kayaking, and exploring with her husband and two daughters. Follow her on twitter at @ktulenko. Neha is a Talent/HR expert with international work experience in the US and Africa. She is currently based in Nairobi, where she was raised. Neha started off her HR/Talent Acquisition career in Chicago, IL where she worked at several corporations providing recruitment and talent management work. Neha completed her undergraduate degree at Saint Louis University, MO, US in Psychology and International Relations, moving on to a master’s degree in Counseling Psychology followed by a master’s degree in Human Resources Management from Roosevelt University, Chicago, IL, US. 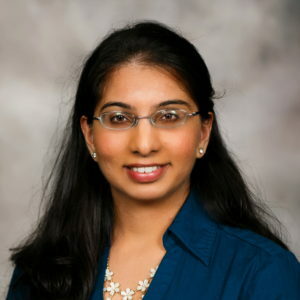 Neha has been an active member of the Society for Human Resource Management in the US and the equivalent, Institute of Human Resource Management, in Nairobi, Kenya. Aside from work, Neha has a deep passion for the outdoors, practicing yoga, swimming, playing tennis, exploring different foods and restaurants, wine tasting, and socializing. 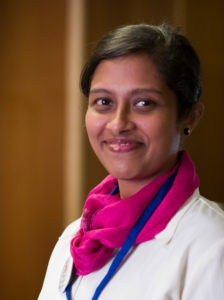 Natasha D’Lima is a health systems and health workforce expert with more than seven years of experience. Prior to joining Corvus Health, she served as a senior consultant of India’s National Human Resources for Health unit where she provided inputs to HRH-related policy and governance tasks to the Ministry of Health and Family Welfare. She has worked on the India national government’s Allied and Healthcare Professional's Central Council Bill and as a training coordinator with the government's 'Skills for Life, Save a Life’ Initiative. Ms. D’Lima has a postgraduate diploma in Health Management from the Indian Institute of Health Management and Research and a bachelors in science and masters degree in English from the University of Mumbai. Mr. Heyman serves as Director of Finance and Contracts where he manages complex relations across multiple jurisdictions and manages partnerships. He has a background in technology startups, information visualization, and product development and holds a patent. 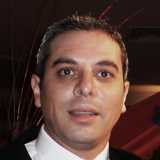 He has experience in real estate development and financing. Mr. Heyman holds a master’s in Fine Arts from Pratt Institute and a Master of Art as Applied to Medicine from the Johns Hopkins School of Medicine. 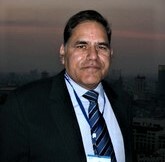 Dr. Shiv Mathur is a globally recognized health workforce expert. He has served as the Chair of several of the regional health workforce organizations, including the Asia-Pacific Action Alliance on Human Resources for Health (AAAHRH), the AAHRH Member Steering Committee, and Frontline Health Workers Coalition, and as a member of the Expert Committee on Human Resources for Health for SEARO-WHO. He has held multiple positions working for the Indian government, donors, and non-profits. Dr. Mathur piloted the first e-learning program in public jealth under EU project for Indian Ministry of Health. He has also held the assignment of Lead Adviser-Health to the DFID supported Health project in Bihar and as Adviser-Health to facilitate vision evaluation of Madhya Pradesh. He has held different faculty positions including 15 years as Professor in the Medical Colleges under Government of Rajasthan. He has also held Chair, UNFPA - Area Development Project at apex training institute of the state (1994-95); Director, SIHFW, Rajasthan, Jaipur (2002-07); Executive Director, State Health Systems Research Centre, Rajasthan (2010-11); and Visiting Professor to Centre for Good Governance of state government (2011-12). 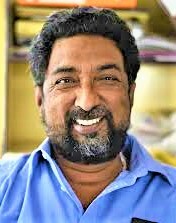 During his job in the Public Systems of the state, he has also acted as Member, Sub-Mission on ‘Fluorosis’ Government of India (1986-89); Member, National Team, HIV Sentinel Surveillance Team (2000-2015); and ‘Integrated Child Development Services’ Consultant, Ajmer Division (1992-94). Dr. Mwanzia is a health workforce expert and seasoned health professional and leader who previously served as Chief of Party of USAID’s national health workforce project in Kenya. 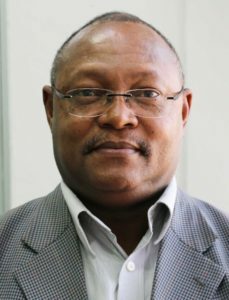 A former Director of Medical Services in Kenya, Dr. Mwanzia worked in the World Health Organization in various leadership roles in Western, Central and Southern Africa as Country Representative as well as Director, Division of Communicable Disease Control in the WHO Regional office for Africa. He currently serves on the Boards of Population Services Kenya (PS-Kenya), The Universities Funding Board (UFB), and The Strathmore Business School - African Institute of Healthcare Management. Dr. Mesrak Nadew is health systems and health workforce organization with a fifteen year history of supporting organizations working in developing countries in areas of health systems strengthening, infectious diseases prevention and control as well as Maternal and Child Health. In the past 14 years, Dr. Nadew contributed to Global Health Programs in Ethiopia, USA, Uganda, DRC, Sudan, Nigeria, Liberia, Dominican Republic, Haiti and Lao PDR. She worked as Associate Director of Special Health Projects at The Carter Center, Health Workforce Development Advisor to IntraHealth International, Public Health and Reproductive Health Specialist- USAID, Monitoring and Evaluation Advisor for Jhpiego, an affiliate of Johns Hopkins University, and Project Manager for a CDC project at Addis Ababa University. 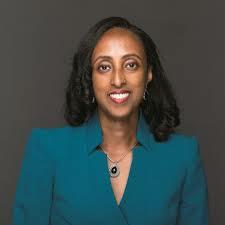 Dr. Nadew holds MD from Jimma University where she began her career as a Lecturer, MSc from Heidelberg University and MPH from Addis Ababa University. Dr. Nadew continued to upgrade her skills with various certificates including Public Health Leadership and grant writing from Emory University, gender and development from the University of Antwerp and Occupational Health Ludwig Maximilian University of Munich. Dr. Nadew enjoys reading, traveling and experiencing different cultures. She speaks fluent Amharic and English, intermediate French and beginner level German. With over three decades of experience spanning across more than 50 countries, Ms. Nkowane is a global authority on nursing and midwifery care. She served as the focal point for all of nursing and midwifery at WHO headquarters and has been deeply involved in the transformation of nursing and midwifery workforce and education. She has led the establishment of national plans for the nursing and midwifery workforce and has conducted operational research on human resources for health and organized the biannual Global WHO Forum of Government Chief Nursing and Midwifery Officers. At WHO, she was most recently involved with the drafting and implementation of the ‘Strategic Directions on Strengthening Nursing and Midwifery Services’. Her work also spans the gamut of HIV/AIDS, TB, Mental Health and Substance Abuse, Child and Adolescent Health, as well as Gender and Women’s Health. She has worked extensively with the International Federation of Red Cross and Red Crescent Societies (IFRAC). 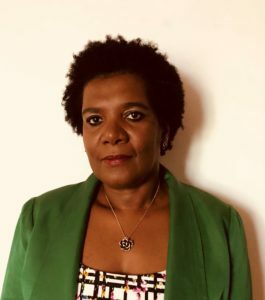 Ms. Nkowane has published extensively on the role of the nursing and midwifery workforce, alcohol and psychoactive substance use, as well as health promotion and is a peer reviewer for Human Resources for Health Journal. In addition to her nursing and midwifery certifications from Zambia, she holds a Management Development Certificate from Mercer University in Atlanta and a Master of Arts in Human Resources Development from the Webster University in Geneva. Dr. Piriz is a physician, health workforce specialist, and health manager who has worked across four continents for 22 years. He has been involved in the planning and operationalization of health workforce strategies in Uruguay and around the world. He also has extensive experience working as a physician in Uruguay’s referral oncology hospital. 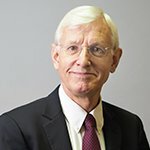 Currently, he serves on the Board of Directors at MSF Doctors without Borders, having worked with them in Latin America, Europe, Africa, and Asia on projects involving health workforce, HIV/AIDS and TB, public health planning, health emergency/crisis intervention, and health system strengthening. He has also been a National Consultant for the implementation of the articulation of the National Tuberculosis and HIV/AIDS Program at the Global Fund Management Unit - Ministry of Public Health, Uruguay. Dr. Piriz holds a Diploma in Medicine from Universidad de la República Oriental del Uruguay; a Diploma in Internal Medicine from the Universidad de la República; a Masters in Human Resources for Health from the European University Miguel Cervantes Saavedra, Spain; an MBA in Executive Health Management form the Universidad de Montevideo; and a Masters in Health Management from the Universita’ di Bologna, Italy. Abdur Raheem is an experienced HR professional with years of experience in handling recruitment needs of companies as well as serving multiple RPO agencies across the world. His area of expertise includes talent hunting, interviewing, preparing job descriptions, job evaluation, and performance management as well as representing recruitment divisions. 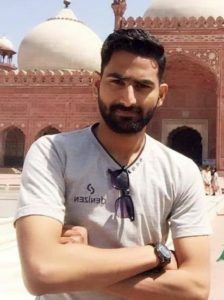 Mr. Raheem started his career back in 2013 after completing his Bachelors in Management at the University of Punjab and joined as recruiter in UK’s resourceSmith recruitment agency. During his career, he held many positions like Resourcer, Executive Search Specialist, and Recruitment Executive. He is currently serving in Corvus Health as Recruitment/Talent Acquisition Specialist, handling day to day operations and meeting recruitment needs. Currently, a HR Consultant Specialist with Corvus Health in Kenya,Ms Cynthia Mburugu has previously worked as the Head of Talent and Development with Free the Children – an International Charitable Organization and as an HR Consultant at Career Directions Limited.Over the years, she gained enormous expertise in leadership, Human Resources Management, Training, Talent and Development, recruitment and selection, onboarding, performance management, HR and payroll management using HRMIS, system implementation, leadership, vision and strategic planning. Cynthia holds a Master’s degree in Organization Development from USIU Africa,a Bachelor of Arts degree in Sociology and Psychology from Moi University and a National Diploma in Human Resources Management from Institute of Human Resource Management. Mr. Nandraj has been a thought leader in the health and development sector for the past twenty-eight years in various capacities. In addition to serving as an Advisor to Corvus Health, he serves as an advisor the Indian Ministry of Health & Family Welfare and various state governments on regulation and health systems. He also serves as Senior Advisor to the Public Health Foundation of India, providing technical assistance for operationalizing Universal Health Coverage in select districts of India. Previously, he was the Cluster Head for Health Systems Development in WHO’s India Country Office and as Technical Officer for National Health Planning and Health Financing in the WHO’s SEARO office. Preceding WHO, he worked with CEHAT, the Foundation for Research in Community Health, and ICMR as a health researcher influencing health policy and conducting research and advocacy at various levels. Mr. Nandraj has a Masters of Arts from the Tata Institute and bachelors in Economics and Political Science from the University of Mumbai. Dr. Pannenborg is a global leader in health reform and medical education. He has worked in over 20 countries for the World Bank, World Health Organization, the United Nations High Commissioner for Refugees, and other organizations. He retired as the World Bank’s Chief Health Advisor/Director and Chief Health Scientist. He currently serves as Chairman of the Netherlands Government Commission on Global Health Research, and on the Advisory Board of the Royal Tropical Institute Amsterdam and the COHRED Board, and serves on various multilateral, academic and national global health committees. He continues to advise the World Bank, the Regional Development Banks and Governments on health reform, e.g. on HRH (both education and research, medical schools and 21st Century health professions), science and technology/innovation, pharmaceutical development, and health financing. He holds degrees from the schools of law, medicine, public health, and business at the Universities of Groningen, Amsterdam, Toronto and Harvard. Dr. Alex Preker is President and CEO of the Health Investment & Financing Corporation. He is a physician and economist and previously served as Lead Health economist for the World Bank and International Finance Corporation. He is a Founding Member of the New York Chapter of the Keiretsu Forum, an LLP with Keiretsu Capita and an active investor in environmentally friendly and high impact early stage healthcare companies. Dr. Preker is a Commissioner for the Global Commission on Pollution and Health, a member of the board of the USA HealthCare Alliance, and the Chair of the External Advisory Committee for the International Hospital Federation. He is Editor-in-Chief for the World Scientific Series on Health Investment and Financing. He is an Executive Scholar and Adjunct Professor at Columbia University, New York University, and Icahn School of Medicine at Mt. Sinai.